Of course, if the approaching crisis was easy to predict, it is unlikely that for investors it would be so easy to part with money in such times as a referendum in the UK or the mortgage crisis in USA in 2008. However, in 2008, some far-sighted investors still saw the problem, another thing that few people believed it. 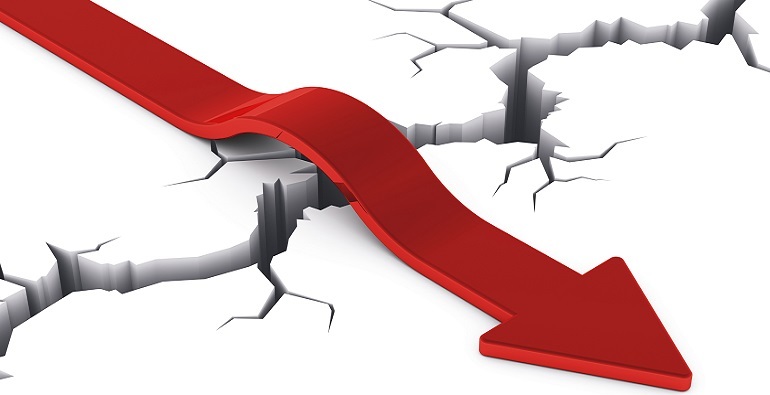 Below we share several indicators of the crisis, which can be helpful in trading in Forex or stock market. One of the most popular strategies of many investors – trade during the crisis. When quotes almost at the bottom, the time for a successful purchase. However, there is no guarantee that the market is at the bottom. For example, in the first week after the referendum in the UK, the pound has fallen to 30-year lows against the U.S. dollar. And when it seemed markets had calmed down, and the pound can be bought, the British currency went down again. recession — a GDP decline for several periods in a row (in the case of a discontinuity it is a correction), the crisis is a clear violation of existing economic relations. The recession is a temporary phenomenon, the timing of the end of the crisis is unknown. Logically, the crisis has a close relationship with economic indicators, but there are a number of problems. First, although the market is cyclical, but the market situation is always different, because it is difficult to say which of the indicator of the crisis work in advance, and will not be false signal. Second, the number of indicators is triggered when the problem can be seen with the naked eye, it has no predictive ability. One of the American strategists RBC Capital Markets suggested to use 6 indicators, which are capable of making a proper analysis to show a greater likelihood of problems. Take a closer look. The indicator shows how owners of US companies are willing to create new jobs and order new production equipment. If the indicator has a positive trend, so there is a demand and the economy goes up. Normal value is the interval 45-50, below — a recession. Manufacturers, focusing on demand first see a reduction in consumption and quickly respond to a curtailment of production or social programs. Investors watch carefully for info about production, and the labor market. Some disadvantage of the indicator is that when there is a false signal it may cause panic among investors, because only one force investors to focus not worth it. Although many analysts focus on the indicator of the crisis, any conclusions from it is not easy to do. For example, in the 2000s, and 2008-th, the crisis was not accompanied by inflationary bursts that were corrected by changing the rate of the fed. But the graph shows that the US does not deflation, keeping inflation at the target level of 1.5-2%. By itself, this indicator shows the crisis as already an accomplished fact in the collapse of the economy, but on the other hand, in conjunction with other indicators the data on inflation is significant. The indicator shows the actually used capacity in a given period. As the graph shows, the indicator of the crisis well-drawn recessions in 2000 and 2008-th year. The graphs clearly identify that the situation of these years — not a recession, and full blown crisis! By the way, in the spring of 2016 graph, we again began to draw down, but this could be attributed to a weak quarterly reporting. The crisis indicator, which displays the number of newly constructed homes in the United States. There is also clearly visible 2008-th year. From this graph also we can conclude that the market still has prospects for growth, since their highs, the indicator is still far. Data on unemployment. The indicator of crisis that can be called a favorite indicator for all traders. But, as the graph shows, the indicator changes only occurred along with the crisis, that is, to use this data as the predictor is difficult. But it is possible to judge the strength of the economic downturn. The current state of the graphics makes you think: now its value is close to the lows, and therefore more likely to increase unemployment than to its decline. Do not, however, eliminate lateral movement, but there is almost no lateral movements in the historical chart. The most interesting indicator which displays the difference of the yield on the 10-year and 1-year bonds, which are considered as one of the most reliable investment assets in the world. On the chart you can see the difference between 10-year and 3-month bonds, the spread between them of 1.5%. If short-term bonds rise in yield more than long-term, it speaks about the coming recession (6-12 months). The current spread so far, does not predict the crisis. From the presented indicators of the crisis the most interesting is the last one. It can be used as the definition points to enter the market and change the investment strategy in the stock markets. And again emphasize: these indexes do not give 100% guaranteed results, but can serve as signals for a more accurate analysis.